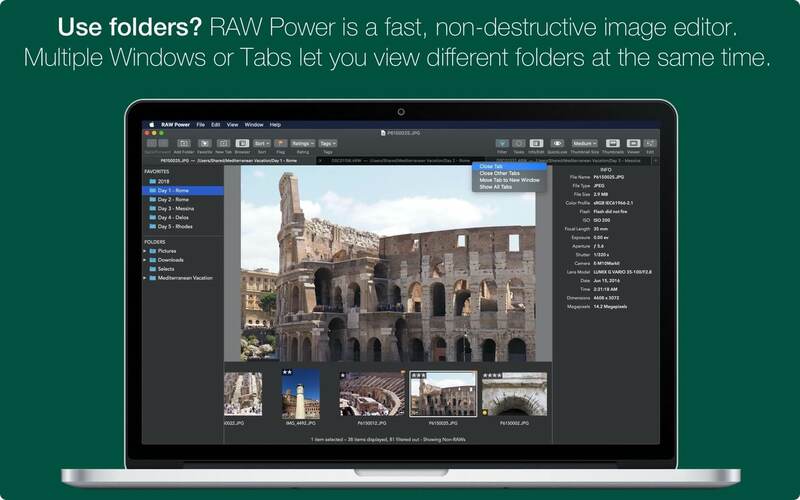 RAW Power 2.1.1 – Unlock the power of Apple’s raw photo engine. RAW Power unlocks the power of Apple’s RAW engine with simple, easy-to-use controls. Use it as an editing extension inside Apple Photos, or as a standalone, non-destructive RAW photo editor. If you loved Aperture’s advanced RAW processing adjustments, you’ll feel right at home with RAW Power. Using adjustments like Boost, previously only available in Aperture, you can improve your images in ways that simply can’t be done in any other application. RAW Power takes advantage of RAW processing improvements in macOS Sierra. Next story Script Debugger 7.0.5 – AppleScript authoring environment. Previous story WindowMizer 5.0 – Roll-up windows like a windowshade. DxO FilmPack 5.1.4 – Add cinematic style to your photos. TurboLayout 2.0.17 – Design a Beautiful Image Graphic with Incredible Ease. Capture One 10.1.1.5 – RAW workflow software.